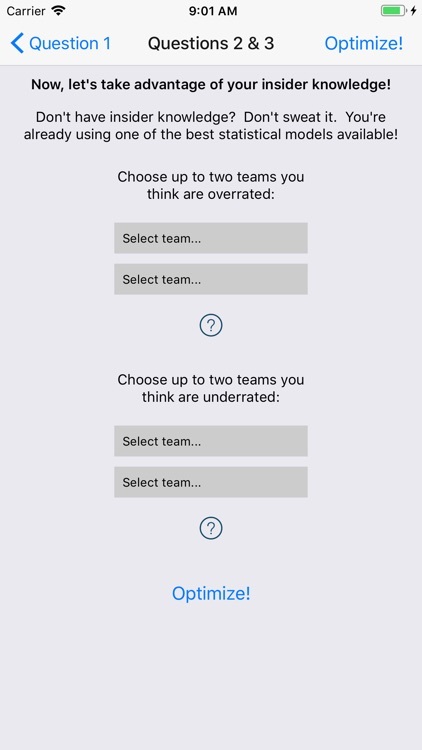 SmartBracket helps you fill out a college basketball bracket—and get an edge! 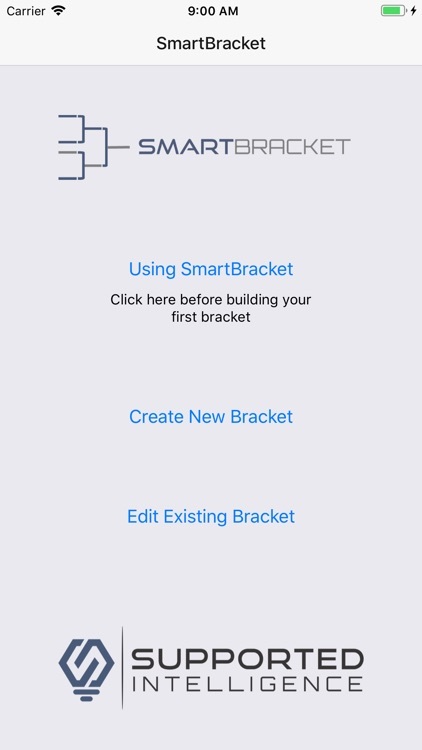 •	OR, let SmartBracket generate a robust bracket for you in less than a minute. Now that’s Smart! 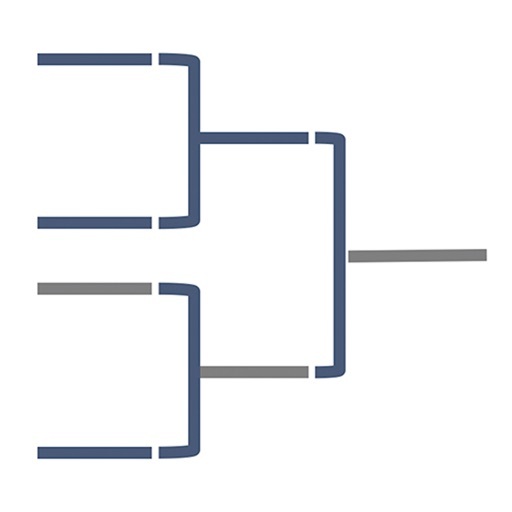 SmartBracket works by capitalizing on opportunities to get relative points, which arise when teams are over- or undervalued. The secret is — there is a difference between how good a team actually is, and how good your friends think they are—and we take advantage of that difference! 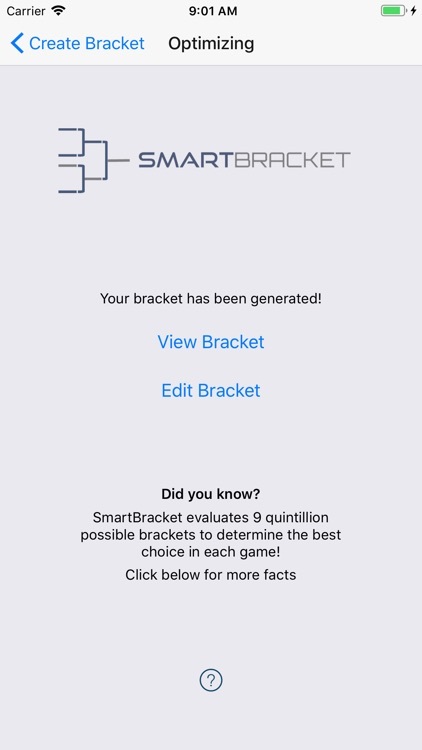 SmartBracket evaluates opportunities for relative points in all 9 quintillion possible brackets (in less than a second! 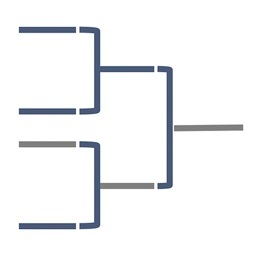 ), to make selections that give your bracket the highest chance of success. 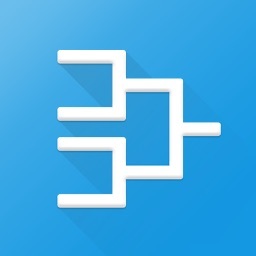 SmartBracket is powered by Rapid Recursive, which consists of patented and patent-pending technology. 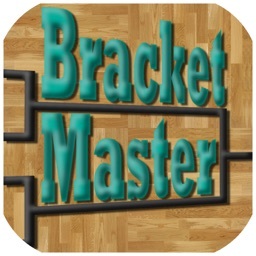 In 2016, SmartBracket’s 1-click bracket finished in the 95th percentile out of more than 12 million college basketball brackets in leading tournament bracket challenges. 60% of SmartBracket survey respondents reported finishing 3rd or better in their pools. More than 35% of those respondents won their pool. 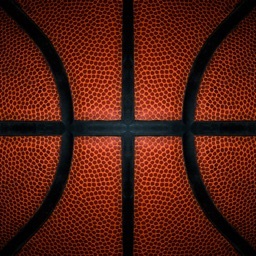 The leading business publication in America named SmartBracket as the Best Way to Pick a Winning Tournament Bracket! 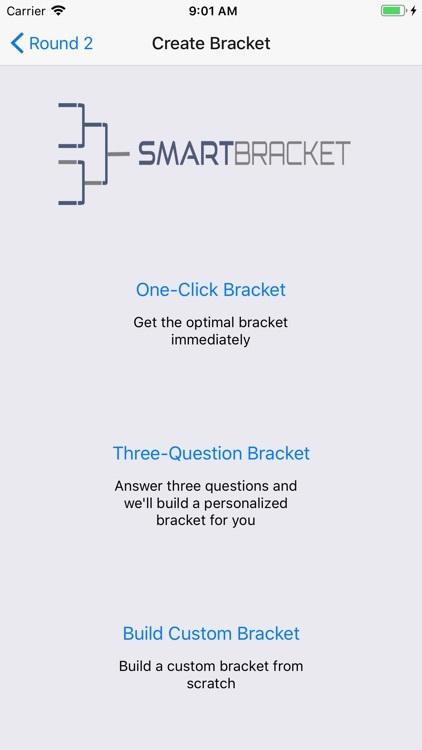 In 2017, SmartBracket’s example 3-question bracket was perfect after day 1; ranked in the 98.5th percentile in the finals, picking both finalists; and finished the tournament in the 88.4th percentile. SmartBracket was listed in the leading business publication in America as one of The Best Ways To Win Your NCAA Tournament Office Pool for the second year running. 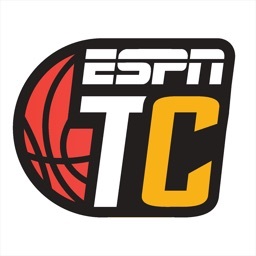 In 2018, SmartBracket's One-Click Bracket finished in the 96th percentile in ESPN's Tournament Challenge! 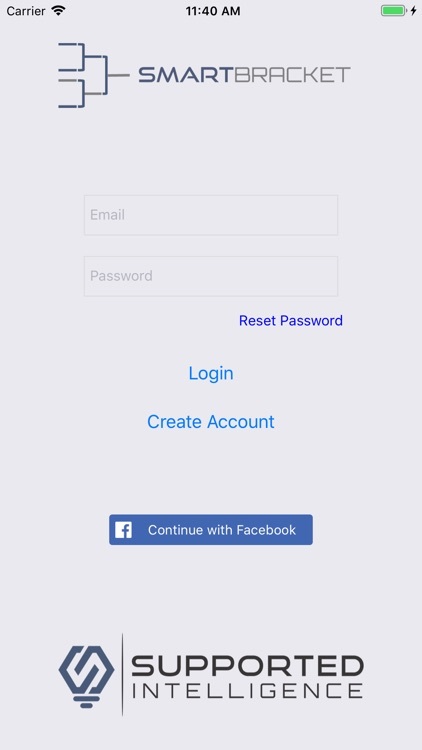 Note: SmartBracket and its services (including any freely available information) are provided for entertainment and information purposes only. It is not intended for gambling, and no representation, warranty, or guarantee is provided regarding the likelihood of any particular outcome.